Community crowdfunding isn’t rocket science, but successful project leaders do take the time to learn some online fundraising best practices before taking the plunge. When you’re ready to start raising money, where can you turn for good advice? ioby has been helping local leaders get support for their projects for over 10 years! In the past decade, we’ve learned a few things about what inspires people to donate money (and time, and materials, etc) and how to run a smooth, successful campaign from start to finish. In our experience, project leaders who build a committed fundraising team raise the cash they need six times faster than those who go it alone. To get enough people to donate money to your initiative, it only makes sense to broaden your network by partnering with others who can expand your reach. Understandably, people who donate money to projects want to know where it’s going! They also love to see results quickly. For these reasons, we advise ioby Leaders to spell out in the clearest possible terms how the money they raise will be spent, and to time the conclusion of their campaign with the start of their project so they can start reporting progress right away. 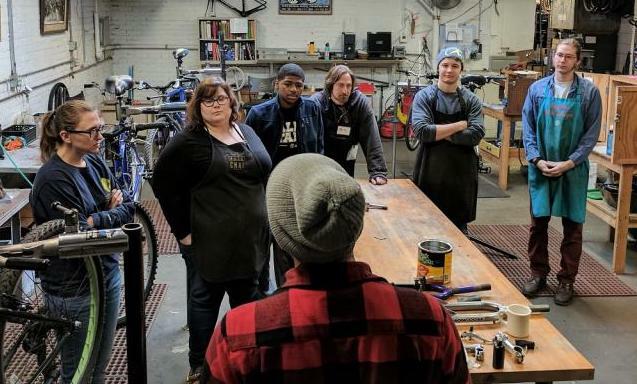 → Tip in action: The project “Help more OCBC volunteers become pro bike mechanics!” publicized a budget that included $305 for 10 workbenches; $2,226 for 10 tool sets; and $24.26 for 10 metric tape measures. Pretty specific—and very successful. Everyone wants to feel that their contribution counts, no matter how modest. When you plan your campaign, we recommend sticking to a necessities-only budget to ensure a reasonable fundraising goal that donors will understand and appreciate. If someone wants to donate money but can only give you $10 instead of $100, you still want them to feel encouraged and valued, and to see how their gift will still make an impact. → Tip in action: Cleveland (yes, the whole city)! ioby has supported over 180 CLE leaders in raising over $250,000 in small gifts for their projects—with a median donation amount of $35. Before you start picking up the phone and making asks willy-nilly, take some time to think about your network. Who do you know that’s most likely to donate money to a neighborhood improvement campaign? What’s important to these people in general? What’s the best way to reach them? What messages, mediums, or appeals are they most likely to respond to? → Tip in action: ioby Leader Aylene McCallum reflects on her (very) successful campaign: “We used a combination of what seemed most appropriate and most effective. If you think the person you want to ask is good with email, write to them. If you’re going to see them, ask in person. Stories are the original people-friendly method of communication. Today, storytelling is recognized as essential to effective leadership, organizing, business strategy, and yes, crowdfunding! A “sticky” story that motivates people to donate money is concise, personal, and makes a clear ask. Speak frankly about why you care about your project, and others will, too. 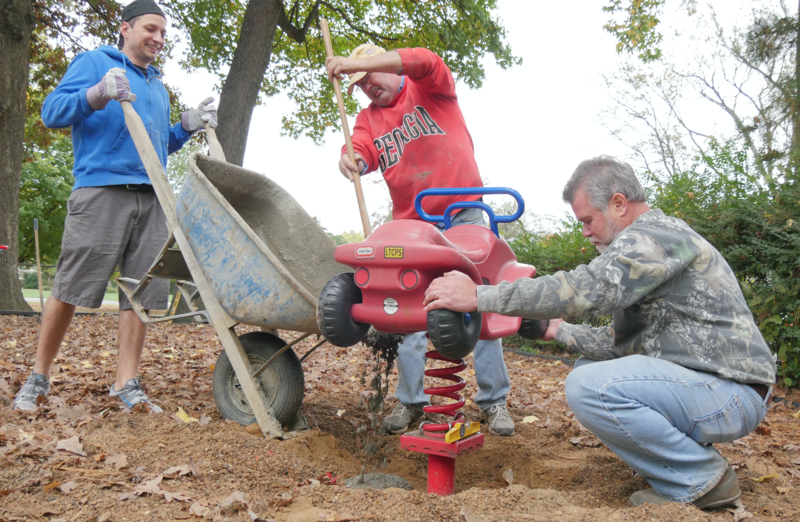 → Tip in action: ioby Leader Lee Forbes-Belue wrote a “very personal, heartfelt” Facebook post about what her neighborhood playground meant to her and her family. As part of a larger fundraising strategy, her personal story motivated over 80 donors to give and meet her revitalization effort’s goal. 6) Shout your deadline from the rooftops! A sense of urgency lets potential supporters know why they really should donate money today instead of thinking about it for two weeks first. Communicating a consistent deadline in all your communications will help drive this message home. It will also help keep you and your fundraising team accountable—the clock is ticking for you, too! → Tip in action: ioby’s flexible finish policy allows you to edit your campaign deadline and fundraising goal if needed, so you can adjust if things change during your campaign. The “ounce of prevention” rule applies to online fundraising as much as to self-care. Don’t rush into crowdfunding, especially if it’s your first campaign. ioby provides many different kinds of resources and training to help local leaders build and execute a winning strategy. Take the time to meet with our friendly staff and flesh out a good plan before you dive in. You’ll be more successful, and less stressed. → Tip in action: Our Leader Toolkit goes into detail about how to plan your asks, your story, your marketing, and more so you can set yourself up for victory—and avoid anxiety. Ready to get energized, get organized, and start inspiring others to donate money, time, and love to your project? Tell us what you have in mind! We want to help.